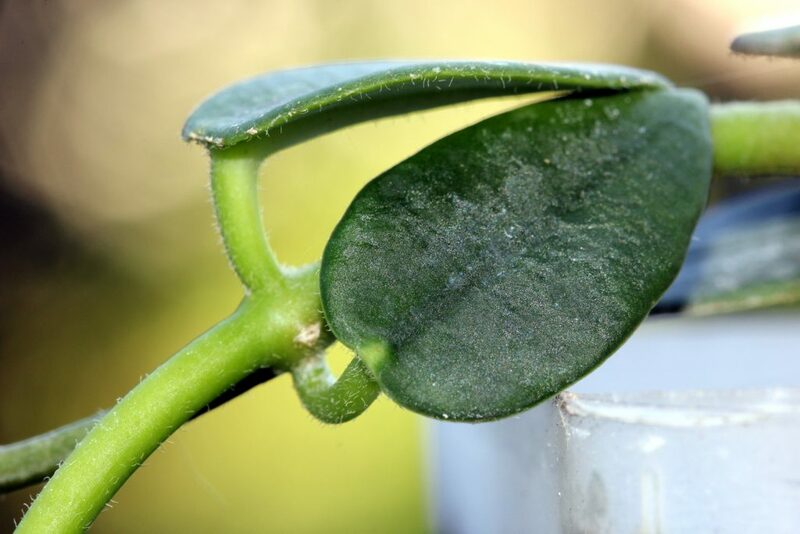 The following was copied from an online Russian Hoya Catalog: The leaves are small, leathery, oval with pointed tip, 2.0-3.5 cm long, 0.9-2.2 cm wide. The upper surface of the leaves dark green, smooth; lower surface pale green with sparse hairs on the main vein and on the edge. Midrib convex bottom, slightly concave top. Side implicit veins 7-10 pairs, nearly at right angles to the main vein. Petiole cylindrical, 0.4-1.0 cm long, 0.15-0.20 cm in diameter, pubescent. 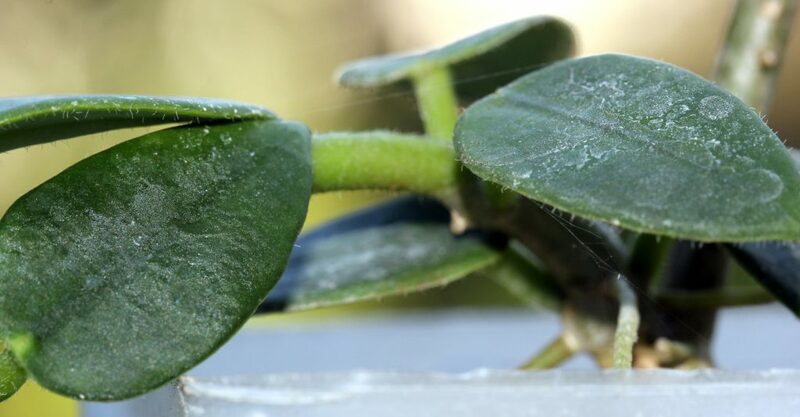 Note the cobwebs on the leaves; this is what happens when you grow outside for the summer – Most of my Hoyas are covered in spider webs. This entry was posted in Hoyas on September 20, 2016 by Doug.